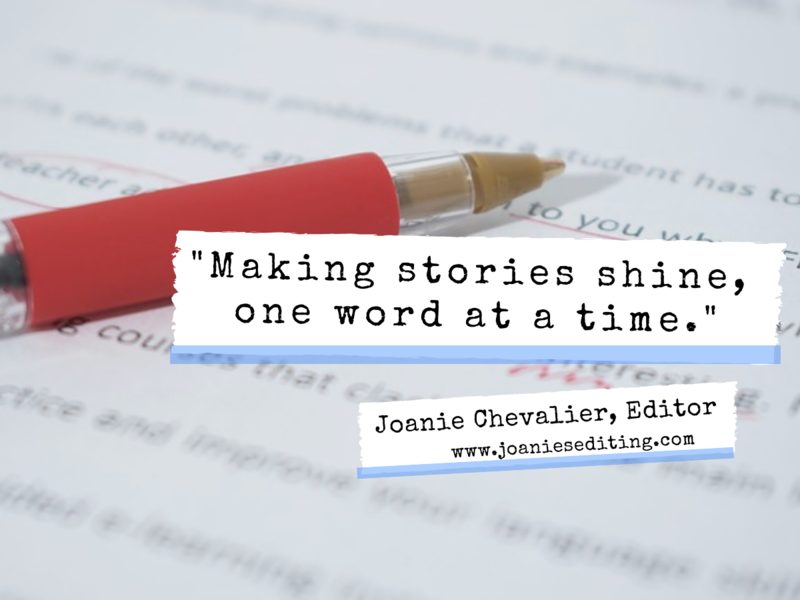 “I have used Joanie on multiple occasions for editing and formatting work. I have been very pleased, not just with the affordability of her pricing, but for the value of the work she delivered back to me. She has a keen eye and a special level of attention to not just structure and grammar, but to the content involved as well. Joanie has seen pieces of a story that just don’t fit, or that might fit in another place with more ease. Her ability to format has been a lifesaver for me. My first book was not done to nearly that format that she was able. Joanie helped my final draft come off polished and ready for publication. She’s encouraging, while remaining tough. She has a way about her that helps you to see that maybe you really can do it after all.” – Nellie Neves, Author of Falcon and Nightwatch.